I remember when we started thinking about switching Mia from her crib into a bed. She wasn't yet trying to climb out of her crib so we wanted to make the switch before she began attempting to. We purchased a toddler bed and began thinking of the best and safest ways for us to make the switch. 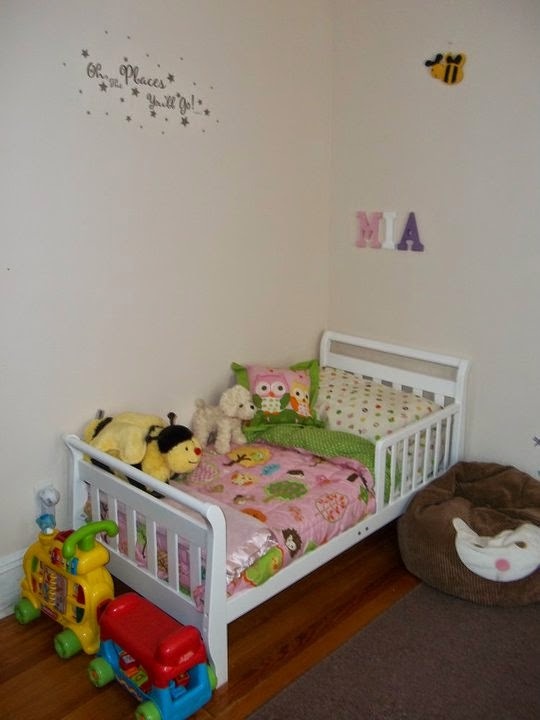 I wanted to share some of my tips for having a smooth adjustment when transitioning children from crib to bed. 1. Make sure your little one is ready. There is no perfect age to switch your little one from a crib to a bed, it all depends on the child. 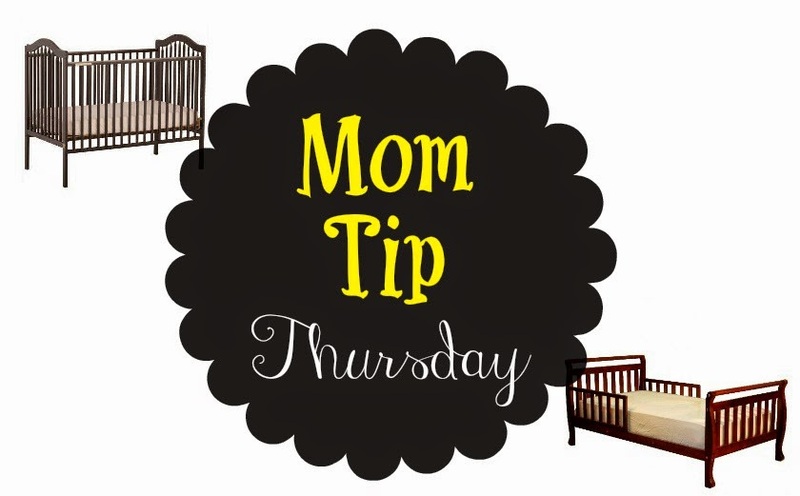 If your child is comfortable in their crib and not attempting to climb out then there isn't much reason to rush them into a bed unless they ask for a bed. If your child is often attempting to climb out of their crib than it is a great time to make the transition. If you are unsure if they are ready talk to them about beds and see if they seem interested. 2. Develop a bedtime routine if you do not have one already. If you already have a bedtime routine continue to follow that routine, if you do not have a routine yet find one that works well for your family.Routine and consistency helps children to feel comfortable. For Mia our routine was bath time, reading three books, and then bed. 3. Try to avoid making the switch during other changes. If you are moving, potty training, expecting another child, or something else that is a big change wait to make the switch. It is often recommended to make the switch two months before a baby comes if you are expecting in order to give children time to adjust. 4. Make sure they are safe. I know that this sounds completely obvious but double check to ensure that any place they can access is safe. Check cords of blinds, outlets, wires, even toys that could be dangerous. We used a baby gate to block off certain areas of the house that we did not want Mia accessing. 5. Let your little ones pick out their bed or bedding/pillows for their new bed. When we were ready to make the switch to a toddler bed we took Mia out and let her pick bedding and a throw pillow to match her bedding. She also picked out a few other items for her room that matched her bedding. All of this made her feel more comfortable in her space since she had some part in making it her own. 6. Keep comfort items close. My daughter had a pink blanket and a stuffed puppy that she loved to sleep with. We made sure to make a special spot for both in her new bed. If your children have something such as a blanket or stuffed animal that makes them feel safe find a space in their bed for it to help them to feel comfortable. 7. Provide positive reinforcement! Make sleeping in their bed a big deal. After nights that children remain in their bed provide them with a treat such as stickers or an extra story at bedtime.